The Lego Movie Videogame for PS Vita relies on the successful formula for an enjoyable on-the-go experience. Even though it sticks to the basic approach we've come to know from previous Lego adventures, it's surprisingly fun and well-suited for people of all ages. The Lego Movie Videogame initially plays similar to other Lego games for 3DS and Vita. However, there are a few changes, like the new menu system that streamlines everything into one screen. You'll also notice that unlike past games, the difficulty has been increased, in that when your character dies, he or she won't re-spawn right where they perished. You'll have restart the entire level, which changes the way you'll approach this Lego adventure. Combat and puzzle solving is what we've come to expect, but this time, you'll have areas where you'll be able to control giant mechanical robots. You'll feel like a giant mech, towering over the game's environment and tiny enemies. In addition, there are vehicle levels that are a blast to play and offer a much-needed change of pace. Most of the levels are short, and some can even be finished in under a few minutes, which is perfect for on-the-go gaming. On top of that, there are 10 challenges for every level. Many of these challenges are tied to specific abilities for locked heroes, so you'll have to unlock them by collecting studs or completing a specific challenge to get them. Overall, the campaign lasts roughly five-to-six hours, but the replay value is high because of the challenges and unlocks available. The graphics are vibrant and completely suitable, but the sound is where this game stands out, thanks to actors from the film voicing their characters. The controls are mostly tight and responsive. However, there are times when you'll push the combat button and your character won't immediately perform the action, or you'll throw punches when not pressing a button, which seems to leave you open to attack. As we mentioned before, when you die, you'll have to restart the level, which can be stressful when you're taking on some of the longer stages and you suddenly fall off the side of a platform. Some may also find it disappointing that this is a port of the 3DS (not PS3) version. 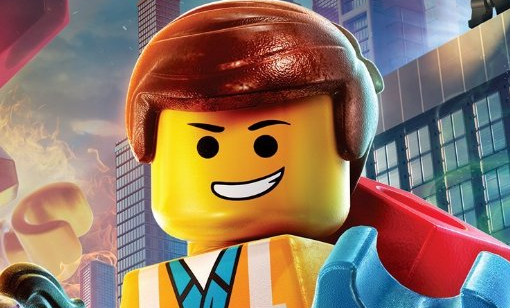 Despite the issues, The Lego Movie Videogame is a solid (albeit short) title that is a must-have for Lego fans. The extras will keep you coming back for more even after you finished the campaign.